If you’re serious about your tea you know that the shape of your teapot speaks volumes of the tea you drink and can even affect the flavour. 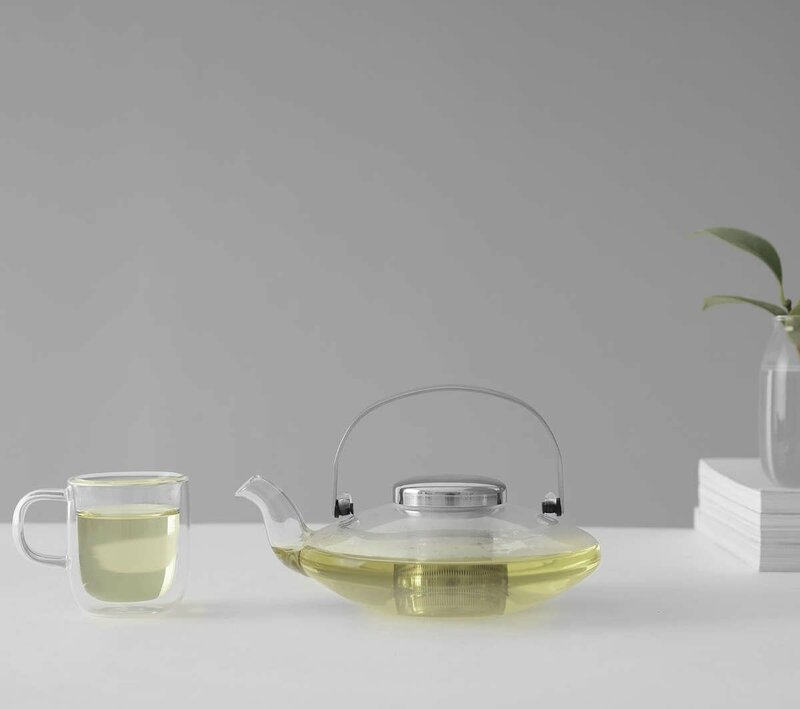 Our Infusion Leaf teapot is the idyllic way to brew teas like Oolong and Lapsang Souchong in refined modern style. Size: L: 18.0 cm - W: 15.0 cm - H: 7.0 cm - Vol: 0.58 L / 19.00 fl. oz. What kinds of tea are best to make in this teapot? 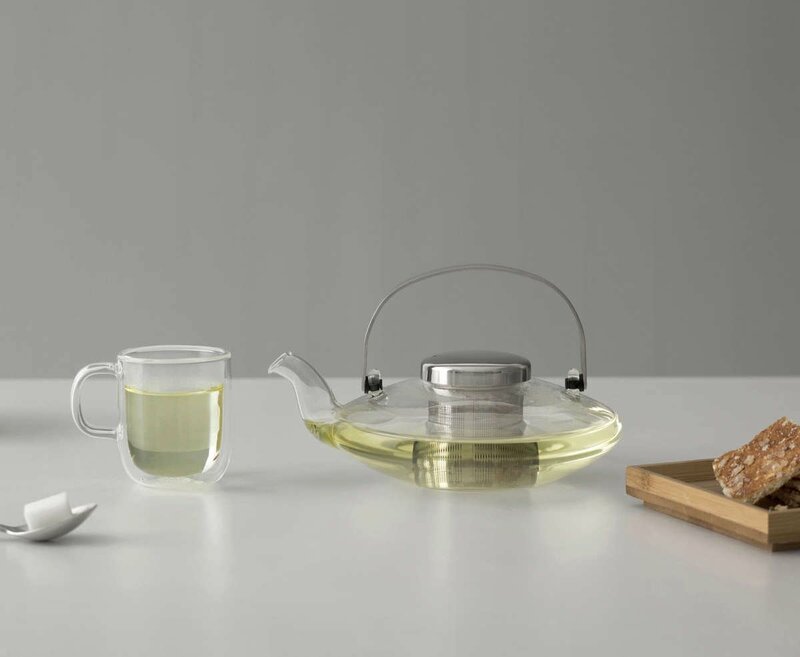 Low profile teapots are particularly popular with drinkers of Oolong and Lapsang Souchong, however any tea can be enjoyed out of this spectacular teapot. Because of the low, wide shape, darker coloured teas look particular stunning through the clear glass body. How should I clean my glass teapot? Hand washing in warm soapy water is the best way to clean your glass teapot after use. You can also give it an occasional light scrub with cream of tartar, or baking soda and lemon juice to keep it bright and shiny. This teapot and stainless steel strainer are also dishwasher safe for even easier cleaning. This 0.58L teapot will make enough tea for two larger cups. If you’re drinking stronger traditional teas, it will make four to six small cups. This classical design has been around for hundreds, if not thousands of years. Having a thin handle attached to the body means that the handle is protected from most of the heat. 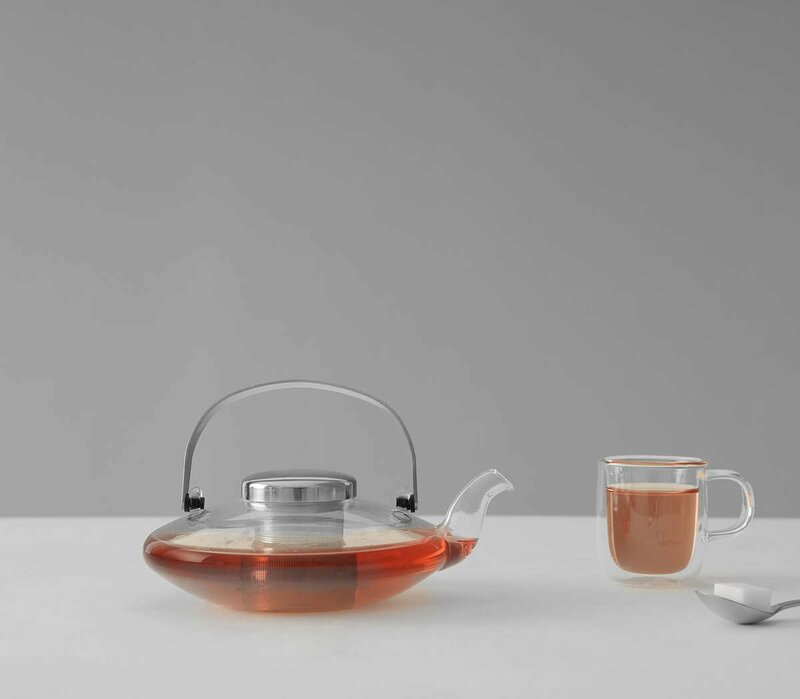 Even when this teapot is full of piping hot tea, you can pick it up and pour comfortably.